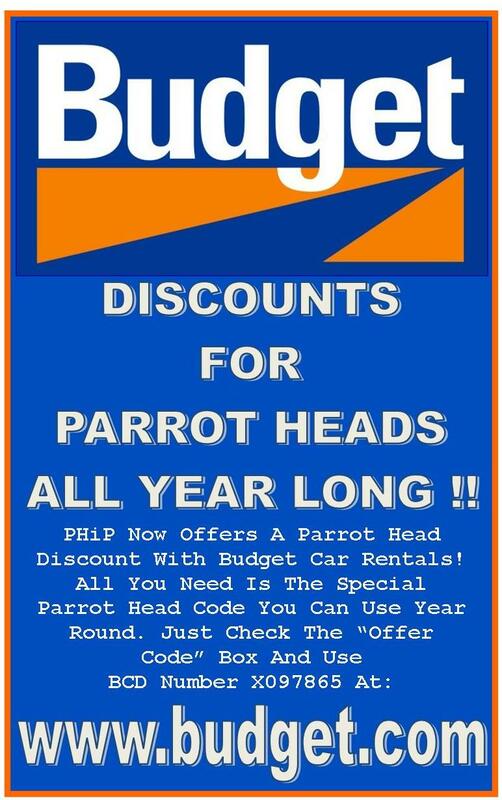 In our ongoing quest to provide substance and value to your Parrot Head Club membership, the PHiP Board is pleased to present a new no-cost benefit ... The PHiP National Discount Program. 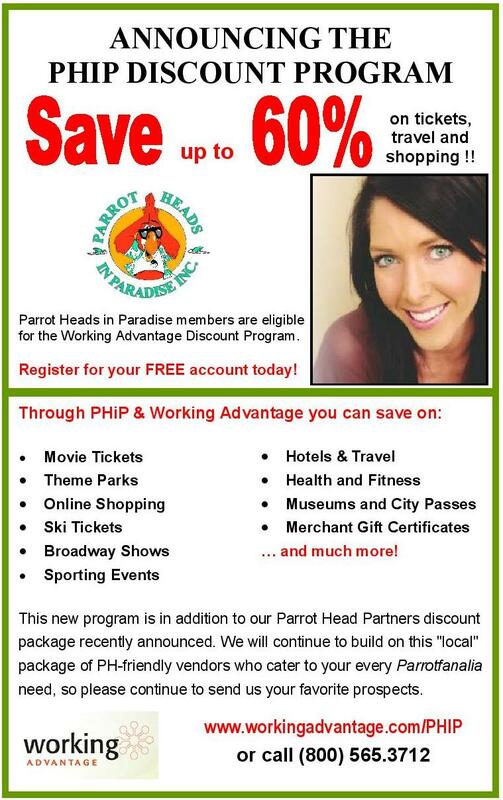 As a complement to the PHiP Local Partners Program, which provides various discounts from your local bars, restaurants, shopping and a myriad of other Parrot Head friendly merchants, you can now receive discounts on travel & lodging, car rental & entertainment and shopping galore from the national vendors you know and love.